You could probably rattle off the year's biggest movies without much effort, just based on what you saw people talking about the most all year. The Dark Knight Rises, The Avengers, Ted and all the others are the hits that are so huge everybody knows about them and has probably seen them. But there are a lot of different ways to define a hit, especially if you're a studio just trying to figure out if a film will make back its money. And there are a lot of elements of film grosses, like DVD sales and international licensing fees, that we simply can't see for ourselves. But looking over the year in box office over at Box Office Mojo, there are plenty of ways to be surprised by films that were way more popular than you ever dreamed. Whether because they opened slow and built up buzz, were hits only proportion to their budgets or made way more money overseas than they did in the States, here are 10 movies that became sizable hits while you weren't paying attention-- and may deserve a second thought if you wrote them off the first time. WIth its ads featuring beefcake men dancing in front of glittery backdrops, Magic Mike was sold as much more of a romp than it really was… but the gamble worked. It's wildly profitable after being made on such a tiny budget funded entirely by Steven Soderbergh and Channing Tatum, and it also hit a kind of cultural touchstone in a way that I'm sure has turned tidy profits for all-male strip clubs, too. In a world where so many independent films stumble, Magic Mike is the dream come true. And speaking of Channing Tatum, his outstanding year kicked off early with what looked like your average sappy romance and became a massive success. With $125 million made domestically alone, it's a far bigger hit than Tatum's last romantic drama Dear John, and even bigger than that modern gold standard The Notebook. The best news? Thanks to all his other hits, Tatum may never have to make another down-the-line romance like this again. Safe House opened the exact same day as The Vow-- February 10-- and has made almost the exact same amount of money domestically, with the two sitting side by side at #19 and #20 on the year's list of top domestic grossers. It was pretty expensive for a straightforward thriller, but as always, Denzel Washington delivered, with a shot in the arm for co-star Ryan Reynolds too, as he was coming off 2011's twin disasters Green Lantern and The Change-Up. It came out so early in the year that it's easy to forget, but Safe House has made more than The Bourne Legacy and Looper. All hail Denzel. Tommy Lee Jones has another stealth hit out there right now that we'll talk about in a minute, and of course he was in Men in Black III, but it's hard to match the sneaky success of Hope Springs, which had a modest $14 million opening over the summer, but went on to make more than $100 million worldwide. Meryl Streep has had bigger summertime hits like The Devil Wears Prada, but for a little dramedy about marriage counseling to pull this off is still damn impressive. And speaking of movies that appeal to an older audience… I'm sure not even Fox Searchlight dreamed that their tiny British film about retirees making their way to India could become a bona fide international phenomenon, with talks of a sequel now starting. The movie is cozy and likable, with a cast to die for, but when a $10 million movie becomes this big out of nowhere, it's pretty much just lightning in a bottle-- or maybe the effect of Judi Dench, who truly can do no wrong these days. Between a genius strategy of sneak peek screenings and reviews that seems surprised by how positive they were, Pitch Perfect slipped in among the early awards contender as exactly the kind of happy, peppy movie you want to see after The Master rips out your soul. It helps that it ought to be infinitely rewatchable; at last, we have Bring it On for the new decade. 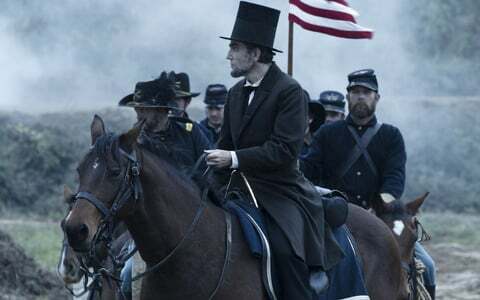 Out in theaters now and slowly expanding to more theaters amid roaring Oscar buzz, Lincoln has somehow become a historical drama about the process of a bill becoming a law that's a major hit. It's already made more money than War Horse, The Adventures of Tintin, Munich, The Terminal and A.I. did in their entire domestic runs, making it Steven Spielberg's biggest non-Indiana Jones hit in his home country since War of the Worlds. Without ever being #1 at the box office, it's become the stealth hit of the fall. Well, unless you count…. 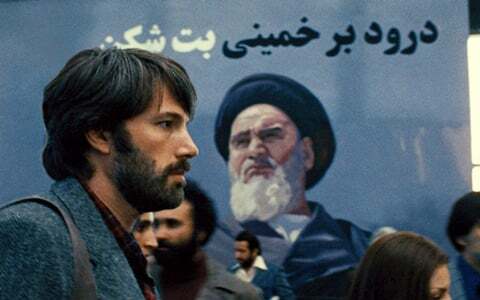 Another movie swimming in Oscar buzz, and the second in a row that Affleck has made that grossed more than $150 million worldwide off good old-fashioned moviemaking for adults. It accomplished the rare feat of hitting #1 at the box office for the first time a full 3 weeks after it had opened, and since the news had moved on to more higher-profile and newer releases, almost nobody noticed when it hit $100 million domestically. Well, we noticed. And we're impressed.